Airex® Balance Pad is designed to provide gradual, progressive resistance in a 360° range. 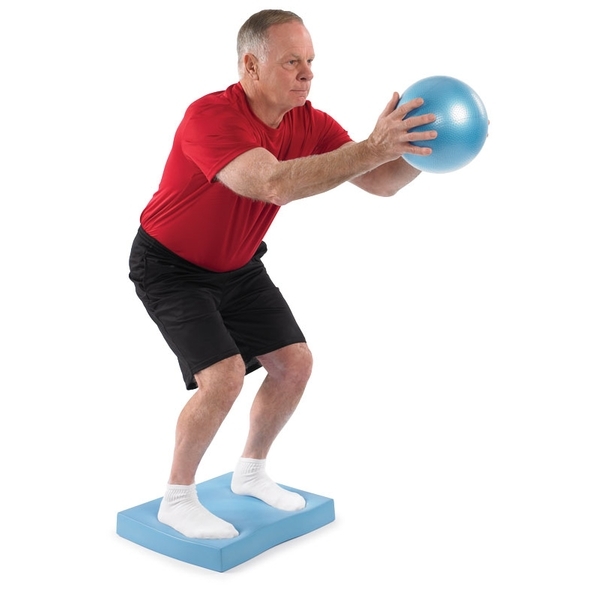 This product enhances balance control and functional movement. Closed-cell blue foam. 19" L x 16" W x 2.5" H. Do not stand on pad while wearing shoes. When I had a fusion on my lumbar spine, one of the products used in my recovery was the Airex Balance Pad. I purchased one from OPTP when my therapy sessions were over so I could continue doing the exercises. It was key in my healing process to have the same tool that my therapist was using. Otherwise I would have just stopped and not made the progress that I have. I would recommend this to everyone, not just someone who has had surgery.